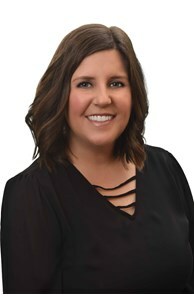 Melissa has been a licensed real estate agent with Coldwell Banker since 2004, she previously served as an assistant to a top producing agent two years prior to that in high school college. The McClain-Lewis Real Estate Team is a continuous top producing team made up of three licensed agents focused on helping clients buy and sell real estate in Ellis County. Coldwell Banker has recognized the McClain-Lewis Team as International President's Circle award winners which categorizes their team into the top 6% of Coldwell Banker sales associates worldwide. They have also been recognized as "D Magazine- Top Producers Best Real Estate Agents" in years past, as well as Texas Monthly - Five Star Professional award for a number of years. Melissa has lived in Ellis County all of her life - their roots are planted deep; she Chris are raising their two boys in Waxahachie. Their main goal in real estate is to treat their clients the way they would want to be treated. Their team is committed to providing each customer with a fully personalized real estate experience throughout the entire process. They assist in finalizing all the details until your transaction is complete. Because of their vast experience knowledge of the Ellis County area, the McClain-Lewis Team can keep you up-to-date in the ever changing real estate market.